Nelspruit is the capital city of the Province of Mpumalanga. 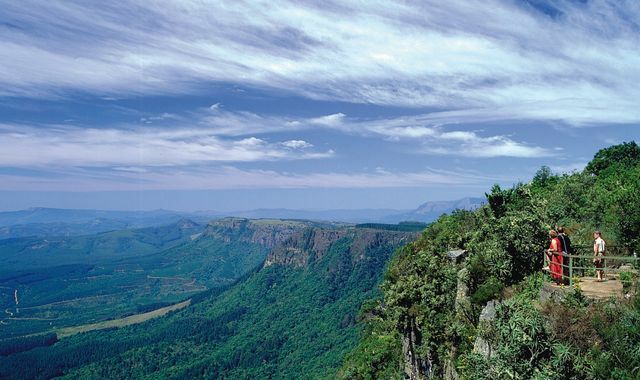 The province is unique in the sense that it borders with the 3 provinces of KwaZulu Natal, Limpopo and Gauteng as well as, on an international front, with Swaziland and Mozambique, and the Kruger National Park. The Lowveld, where Nelspruit is situated, is renowned for its mild warm climate, its beautiful nature (including prolific bird- and wildlife) its friendly people - and of course some really unique Nelspruit property. The municipality also expressed as one of its main challenges: “To make Mbombela (Nelspruit and its surrounding area) the preferred and first choice of place of living, investing and holidaying”. The above has the effect that a wide variety of people find their way here or at least pass through the area, bringing with it its own dynamics -dynamics impacting mainly on the demographic, economic and political spheres of the area. The capital of the province, Nelspruit, (in the Mbombela Municipality, Ehlanzeni District) thus finds itself as the focal point of many inputs. And don 't forget - 30 minutes’ drive away lays one of South Africa 's treasures - the Kruger National Park and it’s not a long way from Mozambique's sandy white beaches, blue seas and water sports either. With various projects in the pipeline, the surrounding mines and Forestry (SAPPI), a new private hospital, the building of a large university, private schools, and the expansion of commercial property and the potential expansion of the largest mall in the area, there is a lot on the go in the Nelspruit property market.